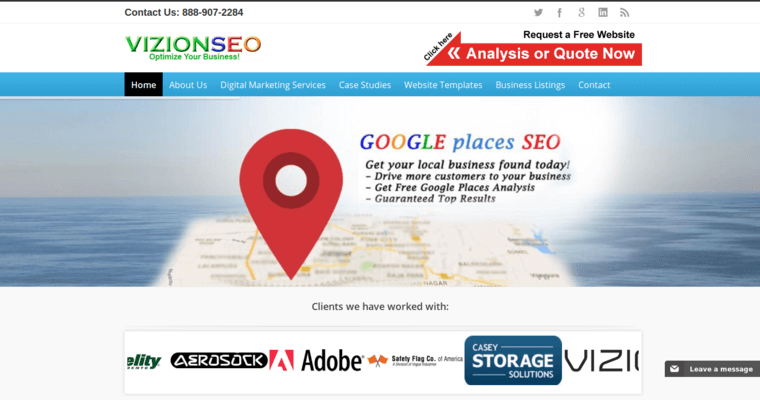 Vizion is a provider of search engine optimization services and all other services that full-fledged, top-tier digital agencies provide to businesses. 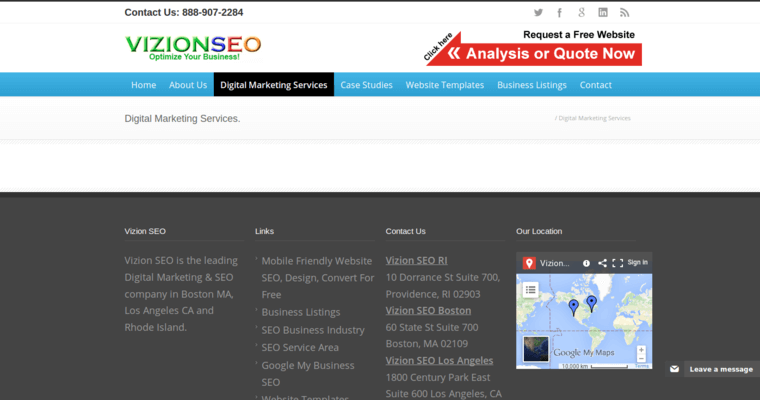 This firm, known as the best SEO agency to quite a few of Vizion's previous customers, has offices across the northern portion of the United States, with locations in the following places: Boston, Massachusetts; Saint Paul, Minnesota; and Providence, Rhode Island. All three of these locations are big hubs for doing business, something that helps Vizion stay on top of its game because it can keep a close eye on what is going on in the world of search engine optimization, including things that might not be reported on the Internet as soon as they take place. 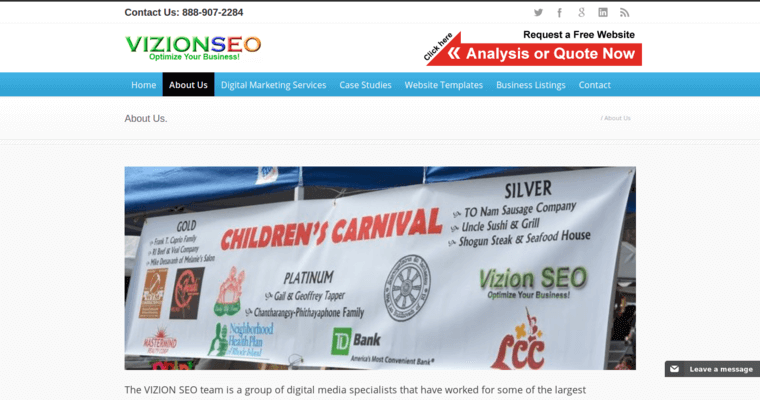 Vizion is one of the most reputable SEO agencies in the New England and Midwest areas of the United States because it has a money-back guarantee for all services that are not done to the standard they were promised.